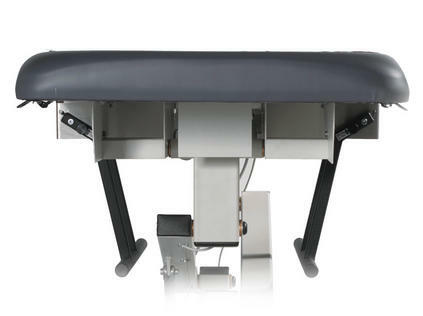 The Echo/Vasc Pro™ Vascular Echocardiography Table is the logical choice for performing vascular scanning and echocardiography. It is designed with many features that help obtain the best quality image and keep the sonographer safe from injury. 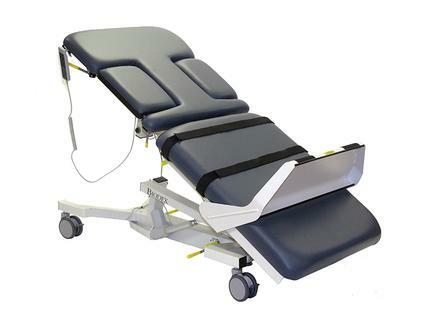 The Echo/Vasc Pro features 30 degree reverse Trendelenburg positioning, ideal for expanding lower extremity veins for maximum vessel dilation. The adjustable foot support provides the sonographer comfortable access to a patient’s calves. When not in use, the foot support stores beneath the table allowing clear access to the tabletop. 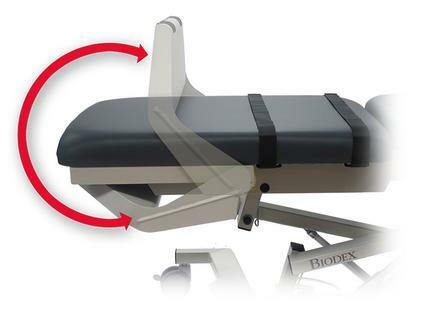 Body straps stabilize the patient and ensure safety throughout the entire procedure. 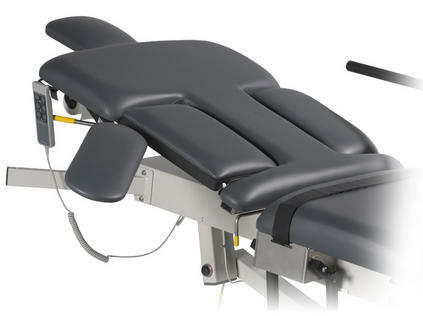 The design also includes a cardiac drop-down cushion, with the ability to release and return from either side of the table, providing ample scanning access for an unobstructed apical approach. 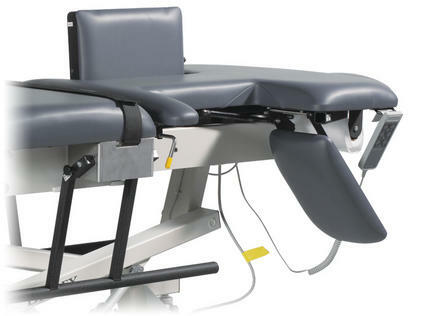 As with all Biodex ultrasound tables the Echo/Vasc Pro features Fowler positioning to accommodate natural body extension and sitting position without slide and shift, optional side rails for easy access to the patient, an optional Articulating Scanning Arm Board adjustable from 0 to 130-degrees and soft antimicrobial vinyl upholstery. Foot Support: Adjustable every 2", up to 14"